More Anglesey Ramblings – Where do Seals go when the Sea is Rough? I went back to Newborough Forest again at dawn this morning, and although I spotted the red squirrels again they weren’t any more obliging for pictures. This afternoon I decided to try to find another Anglesey mammal, the grey seal. Like the red squirrel, it’s one that I’m unlikely to see in landlocked Bedfordshire*. 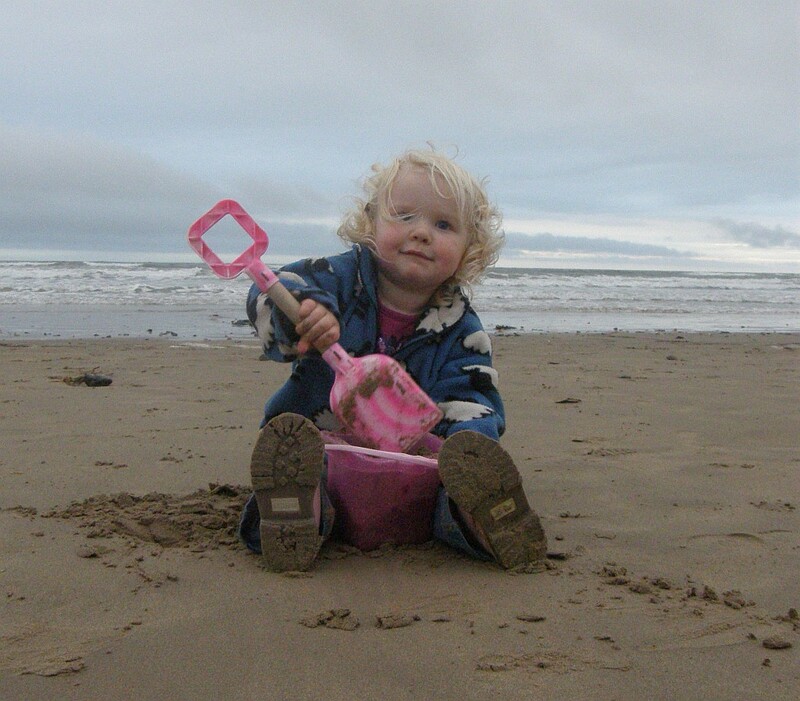 A few miles up the coast from Newborough is Aberffraw, rightly famous for its wide, pristine sandy beach and extensive dune system (and for being the site of the palace of the dark age princes of Gwynedd). North of the beach the landscape changes to a rocky shore dimpled with small bays. 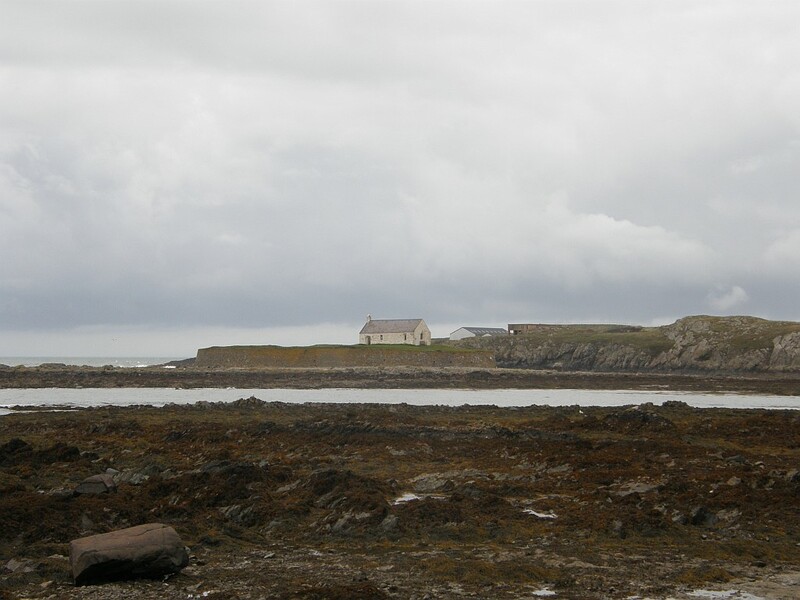 It is a pleasant walk from Aberffraw along the coast to Porth Cwyfan, the ‘Church in the Sea’ beloved of artists. On a windswept day like today it is a wild and lonely walk – in an hour and a half I saw only one other person, a chap collecting driftwood. 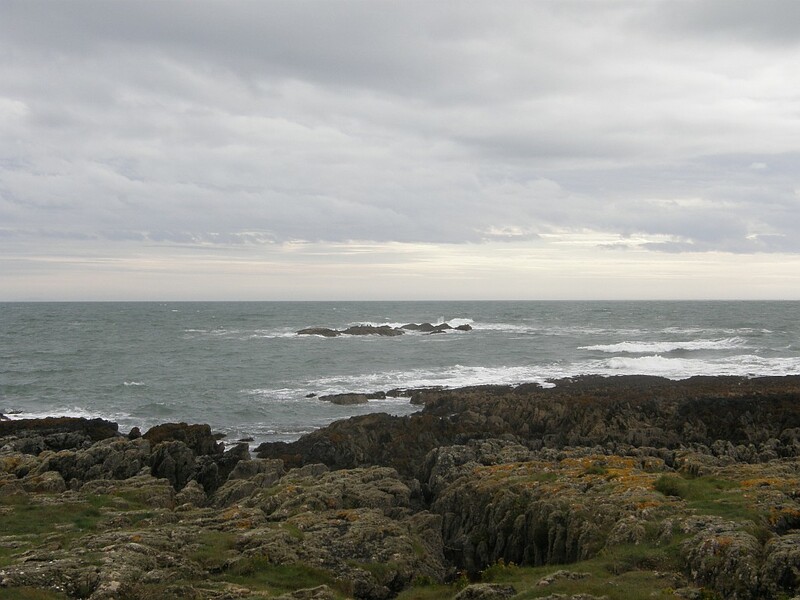 Halfway between Aberffraw and Porth Cwyfan is a small rocky islet called Carreg-y-trai (roughly translates as ‘low-tide rock’). It is here that I come when I want to see seals. There are usually one or two in the area, and on calm days they often haul out to bask undisturbed on the rock. Unfortunately today the sea was still rough and there were no seals in evidence. For a seal it must have been like swimming in a washing machine. 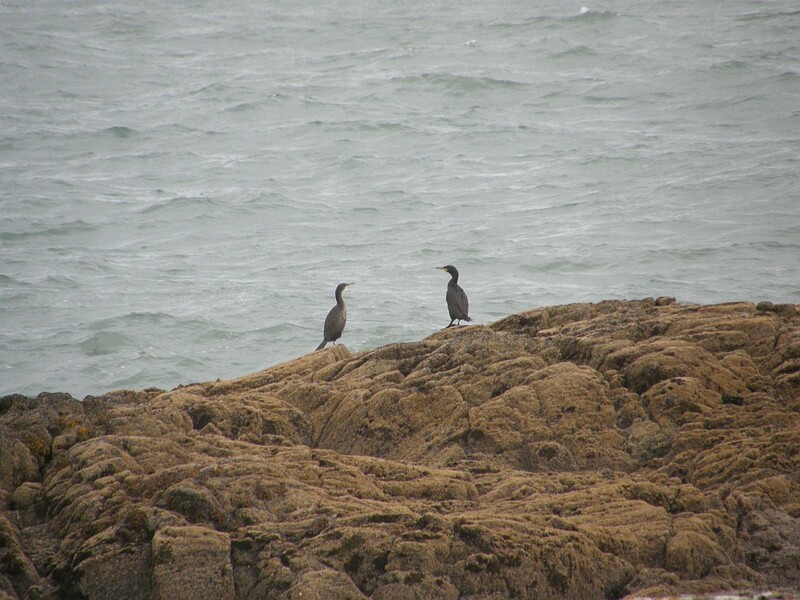 Instead, the tiny islet was home to a ‘flock’ of cormorants – 23 in total – plus a solitary greater black-backed gull. The coast here is a fine spot for birdwatching. Oystercatchers, curlews andredshanks worked the shoreline, with a lone razorbill bobbing on the waves. In the past I’ve watched ravens and choughs flying over the low cliffs, with flocks of lapwings in the field behind. It’s a shame the seals didn’t make an appearance, but watching the birds made up for it. And to answer my question ‘where do seals go when the sea is rough?’, I guess they go wherever they want – it’s a big sea and they’re good swimmers, so they can head out where it’s calmer or find an even more secluded spot somewhere to lie up. *but not impossible. A seal took a wrong turning up the River Ouse a few years ago and ended up in Bedford town centre, to much local excitement.